« The Hundred-Foot Journey: A Review and More! Scientists now say that we live in a bubble! According to yesterday’s headlines, our whole solar system exists inside of a hot bubble of gases about 300 light years in length and shaped like a peanut. The thought of living in a bubble makes some people a bit claustrophobic, though 300 light years is quite a lot of space. The townspeople of Chester Mills might beg to differ. You see, they do actually live in a bubble. Several weeks ago, an invisible dome dropped down, totally surrounding their town. I know it dropped down (as opposed to just appearing) because the rim of the dome sliced cows and houses dramatically in half. Of course, I’m talking about the fictional town of Chester Mills depicted in the TV series Under the Dome, which is finishing its second season on CBS. The show itself is kind of like Lost for teenagers, with a lot of the show being a bit supernatural. 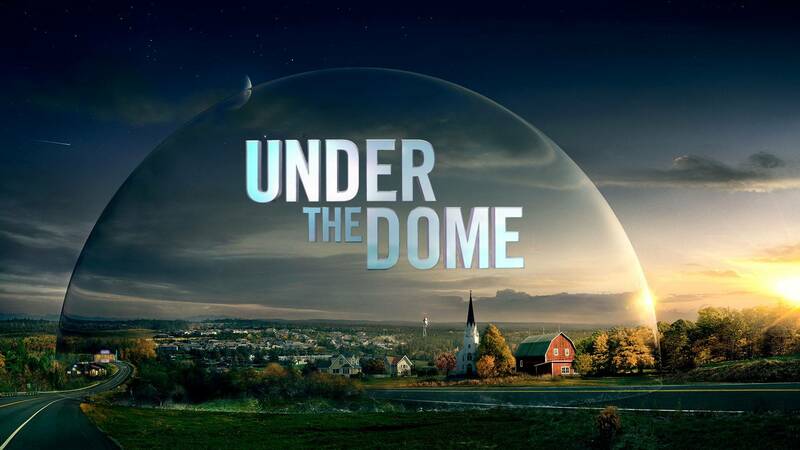 The only mildly interesting part of the show is the reaction of the townspeople to being in the dome and completely cut off from the rest of the world–most of the time. Being under the dome seems to push people to being better people or worse! Of course! I was walking through our neighborhood early one morning this week as is my somewhat irregular custom. I often pray while I walk, but I also try to look for God when I walk. Sometimes I look for things for which to thank Him; other times I pray for the children waiting at the school bus stop; or for the man with the two tiny dogs that yap at me as I walk by. On this particular morning as I was walking, I looked up at the blue sky and had the strange feeling that we lived “under the dome.” I’m sure these were residual thoughts from having watched the TV show the night before, but it did give me pause. How do you feel about being in a glass house, where your life is on display? How do you feel about being trapped on a planet with people you did not choose? How do you feel about whoever dropped this dome or blew this bubble around you? The way different people react to confinement is the stuff of drama. Some feel sheltered, while others feel imprisoned. Some see a chance for personal gain, while others see opportunity to serve the community. And such close community feels like an invasion of privacy to some, while others love the freedom that transparency always offers. The Garden of Eden was a kind of bubble, at least as it is described in Genesis: naked transparency, perfect community, harmony. After the bubble burst because of sin and Man was driven out, the world became more dangerous, with less commonality, less community. You may not like it, but Jesus said the people of God live “in the world” but are not “of the world” (John 17). The “otherness” of the people of God makes many, many Christians uncomfortable in this age of egalitarianism. Admittedly, “otherness” has been misused and abused by Christians past and present enough to deserve this mistrust–BUT, the trajectory of human history as we move closer to the Omega, the End, the Day of Judgment–is that God in His love is restoring and will restore the harmony, the transparency, the community of the Garden. Just as with the dome, some hate the restriction and the loss of “freedom,” but those who know God will revel in the restored and perfected fellowship that surrender brings. St. Paul said, “Yes, everything else is worthless when compared with the infinite value of knowing Christ Jesus my Lord. For his sake I have discarded everything else, counting it all as garbage, so that I could gain Christ” (Philippians 3:8 NLT).